Comments: We had the gutters replaced on our home, in Treasure Lake, Dubois. Caster's Way Seamless Gutters, are fantastic !! Doug and Lisa and crew are professional, timely, and very informative. They removed the old gutters and downspouts. 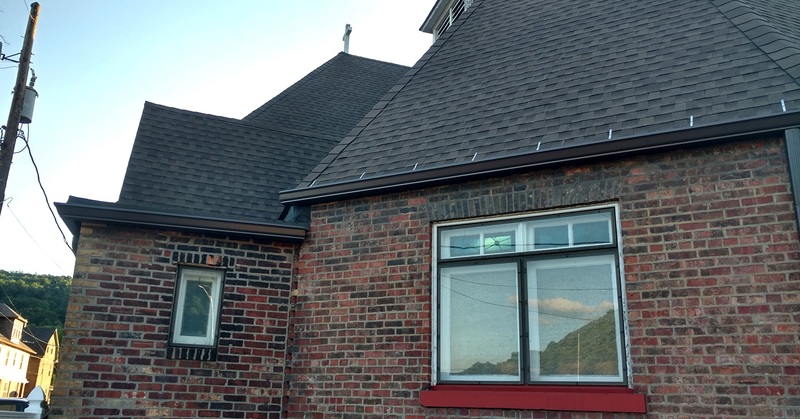 Installed the new gutters perfectly. Right after they finished their work at our home.We had three days of very heavy rain. The gutters work perfectly, run offs work for the first time we have moved into the house !! So so happy and pleased with their work. Best in the area. 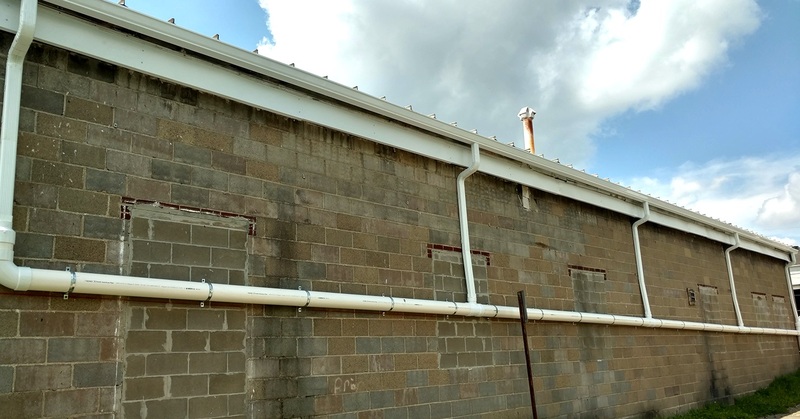 Comments: We recently had Caster's Way install new gutters on our home and are extremely satisfied with their professionalism, knowledge, and responsiveness. Doug and Jude arrived on time the day of install and did an outstanding job removing the old (not in good shape) gutters and downspouts and installing the new ones. They were very focused on the details of the job and being sure that we were satisfied with the product and installation. Lisa has been a joy to deal with with regards to the estimate, set-up of install and follow-up after install. If you live in Caster's Way Seamless Gutters service area, DO NOT use anyone else for your gutter/downspout needs.....they are simply the BEST!!!!!! Comments: This company was an absolute pleasure to work with. They arrived when they said they would and did a beautiful job on our gutters. They did such a wonderful job of cleaning up after themselves, that once they left, you could not even tell they had been there. The price was reasonable and the employees were very professional. They were also quite flexible, when we decided at the last minute to add gutter guards. I have already, and will continue, to recommend them. Comments: This could not have been better. Doug and crew did an excellent job scheduling around our other contractor and his work is impeccable. Fit and finish are perfect. They are excellent to do business with, quality product from quality people. Definitely a 5 star Company. Would get them again. Comments: Doug and Lisa are great people. Easy to get along with and great communication! Would definitely recommend them and will use them again! Comments: Did everything they could to install to my satisfaction. Comments: Very prompt response and service. Installation was fast and efficient. Listened to our concerns. Left a clean worksite. Comments: My gutters are 22 years old and were starting to leak in a few places. I called and Doug got back to me the same day. He scheduled an estimate evaluation within the week and returned next week to do the job. I declined his recommendation to replace all my gutters as I felt they were still in good shape. I had old screen covers removed, total gutter cleaning (I live in the woods so there was quite a bit of debris) and they resealed the endcaps and miters. I have approx. 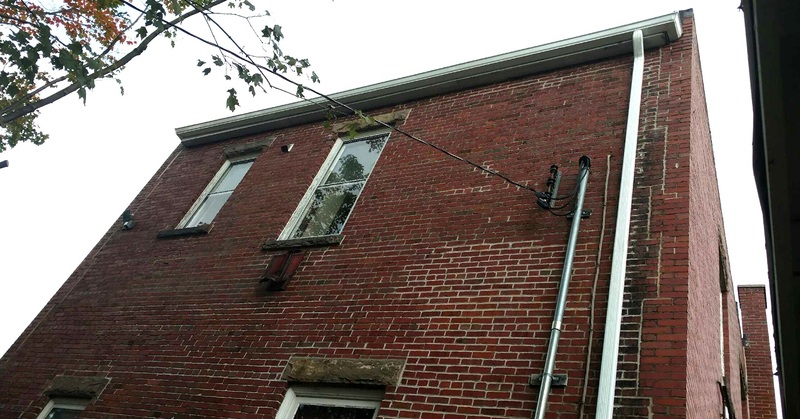 370 linear feet of gutter on two levels and they charged $800. Doug and his crew were very professional and the gutters are working well. I expect to have them return in the fall for cleaning. Comments: Very professional. Everything was done that was discussed. The work was great and done quickly. Very friendly people who interacted with my kids who just had to watch. I would recommend them. Comments: Very good customer service. Very good value for the money. They arrived on and did exactly the job we wanted done. They called beforehand to schedule at our convenience and was there on time. Very nice. Comments: Quick response on the free estimate. Showed up when they said they would and did a great job on both the installing of the gutters and leaf guards and the clean up when done , have recommended them twice already. Comments: Great communication and great service. Highly recommended. 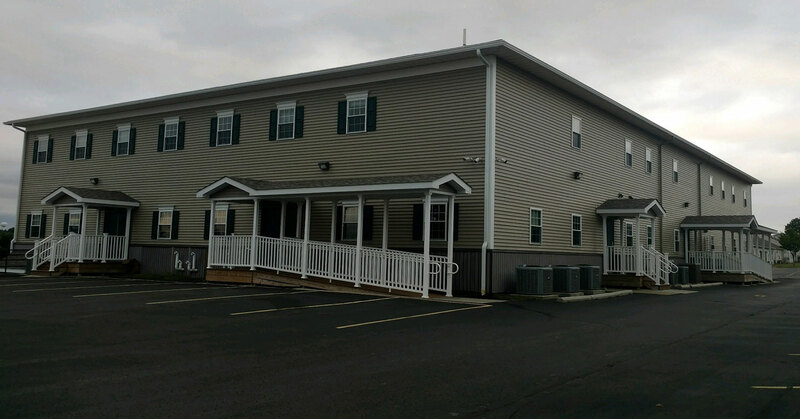 Comments: Very nice people to do business with and they did great work on our gutter repair. Comments: Quick response to request for bid. They arrived as promised, finished the job as promised with quality materials. Have recommended them to relatives. Comments: Lisa did a phenomenal job in communicating and passing along numbers to me. Once the team arrived, I was most impressed with their work, timeliness, experience, and dedication to achieving a quality product. I would refer these guys to anyone; you will not be disappointed! If they recommend the 6 inch gutter, do not hesitate. I was amazed at what a difference it made on my house cosmetically, and most importantly functionally. Comments: The quality and attention to detail was exceptional. Customer service was very friendly with frequent communication detailing project status. First time I used Home Advisor web site for home improvement project. Extremely pleased with the results and would strongly recommend to others. Comments: This business was prompt in ordering and installing our gutters. Comments: I would like to let customers know that they were friendly and courteous and did a good job for us. Comments: Very friendly and the work is excellent. Will recommend them to all my friends. Comments: Work area kept very neat and clean. We were kept informed about work on a daily basis. Very helpful in choice of products to use. Would highly recommend This company.